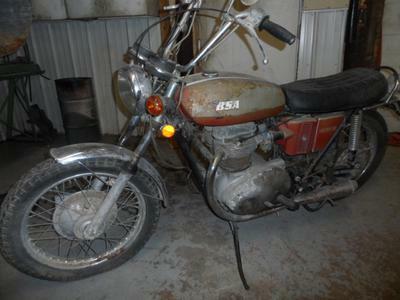 The 1972 BSA Lightning Motorcycle for sale is a barn-found, 99% complete stock original 1972 BSA Lightning 650cc Twin that has deteriorated a bit after being left sitting. The Lightning's tires are aged and weathered and the paint is faded and chipped but it's still an awesome bike. The BSA is not running currently but the motor will turn over. and then come back to this classified to make a deal! 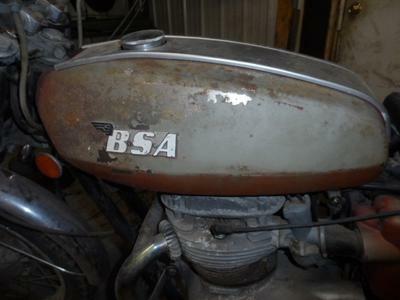 I can only imagine how good this old BSA would look good with just a thorough cleaning. The bike does not have the original handlebars and the lenses are cracked on both of the original gauges. It's rare to find many old BSA's like this jewel let alone one of this year that is 99 percent original that hasn't been chopped. 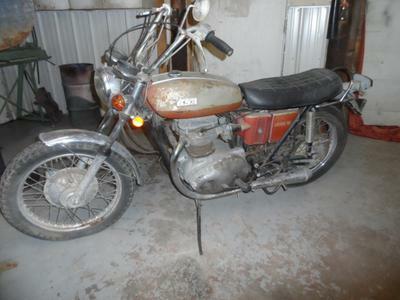 The old BSA motorcycle for sale is in Rapid City, South Dakota and the price is just $1,600. If you need it we can help you arrange shipping if you are unable to come and get it yourself. 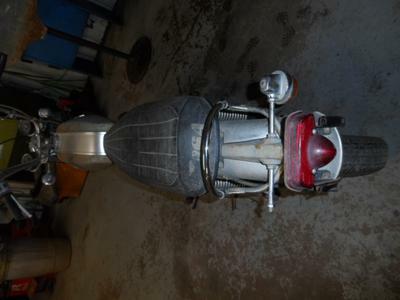 Email Bill at Motion Unlimited Museum, Rapid City, South Dakota and mention that you found this vintage motorcycle classified ad on GoGoCycles Used Motorcycles for Sale.